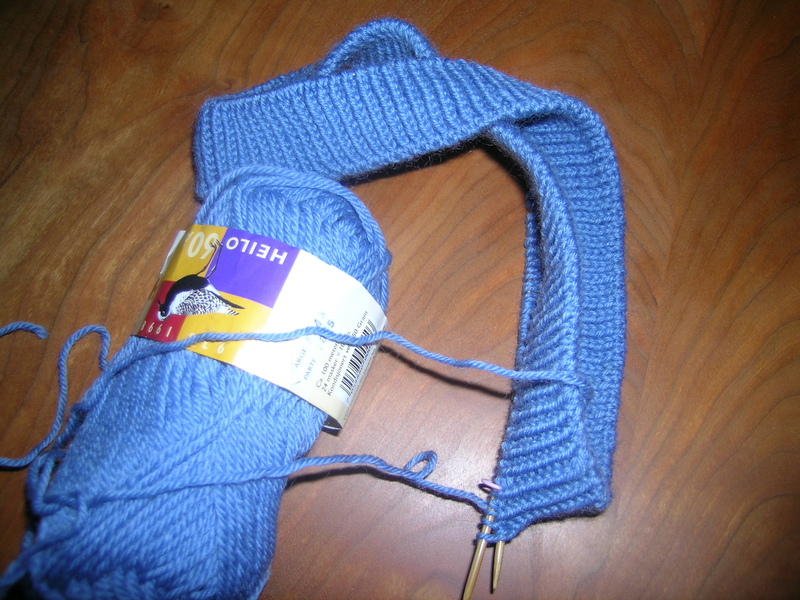 Started my polar Bear sweater yesterday for the Ravelympics. I am very excited to make this, and in spite of the fact that I had to choose the colors online, I think that they are perfect. 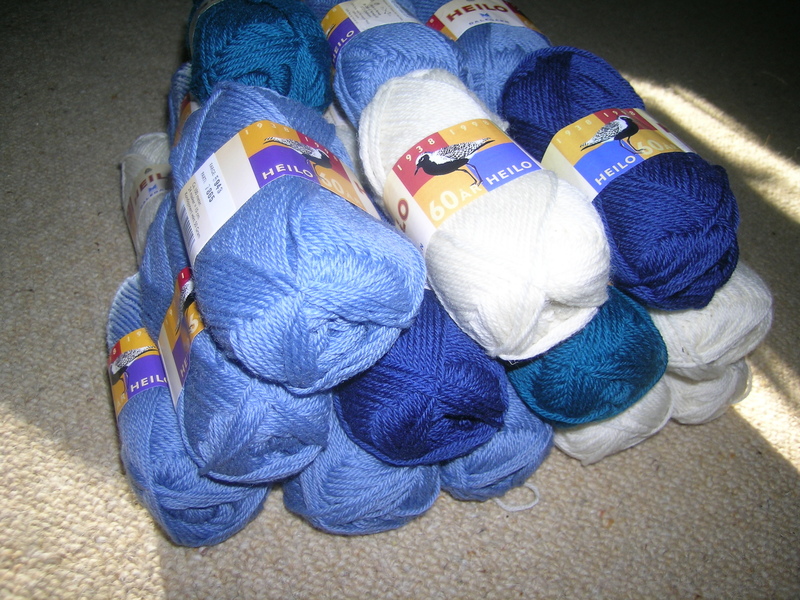 The pattern called for 1 accent color, I couldn’t decide, so I ordered 2, the teal and Norwegian blue. 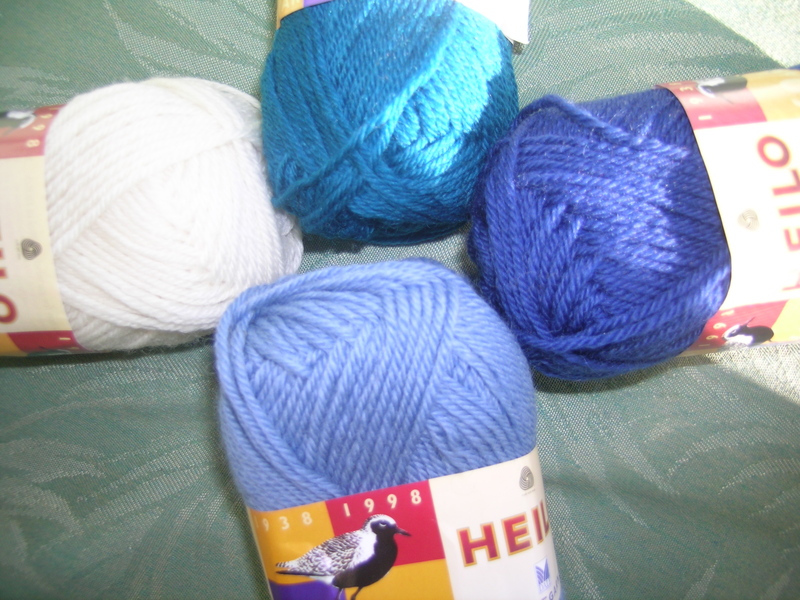 I think that I am going to incorporate both into the sweater, the 4 colors are beautiful together, and I think that it will add a bit more interest. I would highly reccomend kidsknits.com for any Dale of Norway purchase. The owner, MaryAnn, was very helpful, efficient and friendly. I think that I will just have to order a color card and be satisfied with that. Every time that I ask a knitting store to carry Dale, or something comparable, the answer is that not many people do stranded knitting. Based on the lively eBay sales, I might have to disagree. Perhaps if you stock it, they will come. My LYS learned that with sock yarn after I spent 2 years asking them to carry it, and was told none of their customers knit socks. Now they are sockaholics, and conveniently do not remember that issue. We are off on vacation for a week, so I will not be posting. Hopefully, I will have the body and a sleeve done when I get back.